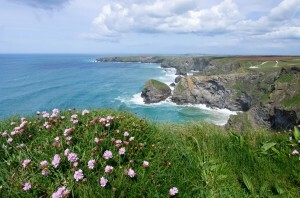 Many people believe they need to jet off to tropical destinations to truly unwind, though those who have been to Cornwall know this isn’t true. It’s much cheaper to get to than the Caribbean and has all the right ingredients; sea air, space to relax and plenty of opportunity to be free from the pressures of everyday life. Even the fact that it can be a little harder to get phone signal makes it ideal for switching off from home and work and getting down to some time for yourself! Massage is a wonderful way to nurture your wellbeing and there are many great places to indulge in this treat for the body in Cornwall. Our favourites are the Lava Shell Massage at the Budock Vean Hotel near Falmouth (£70 for 1hr 10 mins) and the Calm, Ground & Unwind treatment at the Scarlet Hotel near Newquay (£125 for 1hr 15 mins). Both offer you divine treatments in stunning locations, where you can take a walk on the beach afterwards or simply relax at the hotel spa. Yoga is no longer just for those seeking a more spiritual path in life- it’s great for anyone who wants to be more flexible, stronger and a have calmer mind. In fact, the benefits have now been made so clear now that even Prince Charles and Camilla do it! Use your holiday to enjoy some yoga and if you can join a beach class as going through the poses outdoors adds another level to how good you’ll feel afterwards. 3. 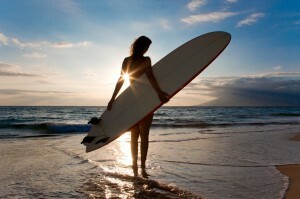 Get Your Surf On! Not only is surfing great fun but its brilliant for getting your heart pumping too, which is an essential ingredient for any wellness break. Whilst paddling through the waves you’ll get a great all body work-out and better still, you’ll hardly notice it as you’ll be having so much fun! If you haven’t surfed before try signing up to a lesson with a surf school who will be able to lend you all the kit and get you started. Wildebeest Cafe in the pretty seaside town on Falmouth is the ideal place to head to when you have excised your body and taken some headspace outdoors. They serve up fresh, home-cooked vegan food all day, with dishes such as Raw Pad Thai with toasted peanuts and Butternut squash Laksa with flat rice noodles, mange tout + beansprouts. In fact they even do vegan cocktails to, so allow yourself to indulge a little. A little of what you fancy is good for the soul after all.